The beautiful example of hard weaving of artisan. Vintage Kashn carpet is made in finest quality of wool.This Magnificent woolen dhurrie is totally handcrafted by our talented craftsmen. - This rug is replicates the look woolen handwoven rugs, yet are totally handmade woven with 100% wool pile. 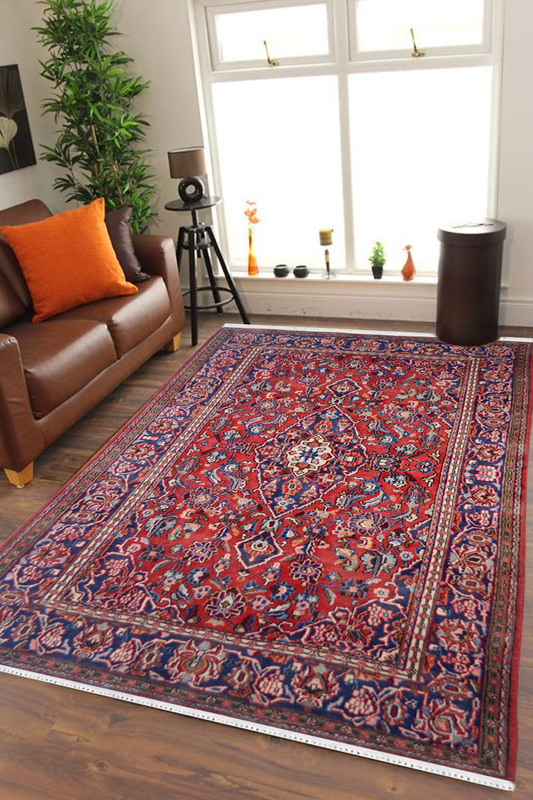 - This rug is designed to be hard wearing, durable and affordable. - It has 100% fast color. width about 18 per inch along the length in the typical flat-backed double-weave structure.